Each year during the Christmas Holidays when I gather with my family, I remember how much my son’s father loved him. Tom died when Kent was only 7 years old. After I took a six-month class with Robert Moss entitled “Shamanic Approaches to Death and Dying” (through the Shift Network) and later a week-long retreat led by him at Mosswood Hollow in December of 2016, I have been inspired to gift something at Christmas time that helps heal my husband’s absence for both my son and myself. This seems very important at a time when we feel his loss the most while watching the grandsons grow up with new gifts of their own. One year I gave Kent a scrapbook in which I placed photos printed from old slides. 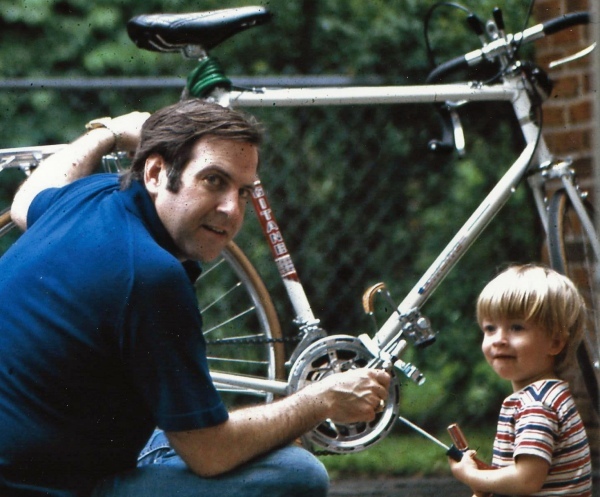 In another, a framed photo of Kent as a young boy sitting next to his father as they worked on a bike together. This year I pondered long and hard about what the symbolic gift would be. I realized that we as writers often write about our own lives as though in some way they belong to the characters we’ve created in the stories we’ve imagined. When I saw an illustration for my next children’s book by Lorie Lee Andrews of a little boy writing a letter to his dad, I knew what this year’s gift would be. I asked her to add water color, and I framed it. I thought to myself, what a poignant reminder that our loved ones would love to hear from us, and we might also have something important to say to them. For a lawyer like my son, not familiar with the journey practices of Active Dreaming, writing a letter to his dad is an active practice on the subject of loss suggested by other authors as well. And it is something he might do that could bring a measure of healing and support at this time in his life. On this past Christmas morning, I asked my family to sit quietly on the sofa, and I read a letter I had written to my son. My letter began with these words, “As you receive my letter today, may the presence of love be in this space. And may you hear the touch of angel wings in my words. I’ve heard it said that inside every grown man there’s a boy…” I wanted him to understand that the boy inside the wonderful man he’s become would be heard and honored if he wrote a letter to his deceased father. 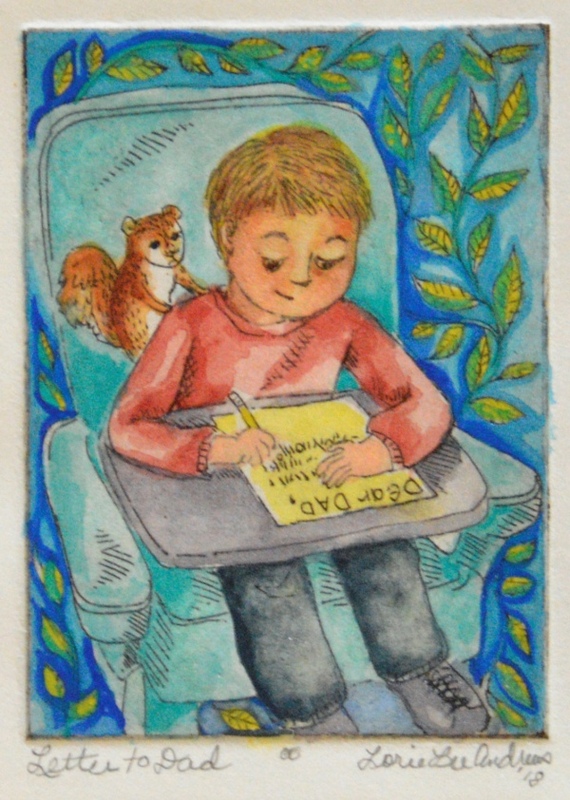 After reading my letter, I presented him with the framed watercolor illustration along with a small stuffed squirrel. Kent put the squirrel on his shoulder. Then he told me he would put them both on the bookshelf in his office along with the St. John’s knight statue I brought back from Malta this past summer, and the framed photo of him with his father fixing a bike. Special Note: Later I opened The Dreamer’s Book of the Dead by Robert Moss, grateful for his teaching on the subject of befriending death and making it an ally. This book is an ally to those who’ve dreamed of the departed and seek ways to heal and grow by way of communications with them. Who, through the stories of others, wish to fashion their own helping stories. Who want to be present in helpful ways for those who suffer grief during and after a loved one’s death. Who seek forgiveness from and closure with a departed friend or family member. In the final analysis this book is for all of us who wish to make death our personal ally and, through the inspiration of W.B Yeats, wish to become poets of consciousness and healing.